This book is right up there with Bigfoot Wars. An excellent tale of man vs. nature and technology. Create a creature from the prehistoric and you are playing with fire. 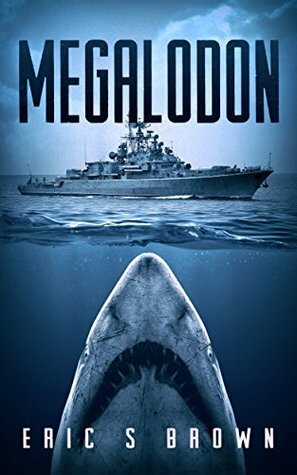 Different storyline about a megalodon. Good short story about a mad scientist who creates or finds (it was never clear) and decides to modify the prehistoric shark and some other great whites to become controlled killing machines for the military. Of course things go south as a saboteur strikes and the sharks escape. A lot of action, explosions and deaths packed into 89 pages but not enough of the shark for my tastes. If you want a fast paced, giant killer shark book, this is it! I gobbled it up in about a day. Straight to the point, Megalodon delivers action, blood and guts, and an angry monster fish. What more do you need? A great, if short adventure tale about why the dream of absolute control is folly. The shift to the climax is rage abrupt and can be hating, but overall a pretty good book. Eric S. Brown - Librarian Note: There is more than one author in the Goodreads database with this name.